The People’s Apothecary Garden located behind the Vancouver Island College of Art (in Victoria, British Columbia) is a curatorial project produced by the Green Tongues Collective. The People’s Apothecary is a herb garden, a commons, a sculpture, a political statement, a model for creating self-reliant communities, an intervention into exploitative state systems, a relationship with ourselves, the earth and each other” ( Serina Zapf, “The People’s Apothecary: Situating the Garden”). 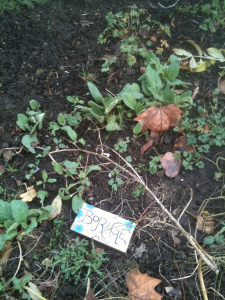 The herb garden is a living art installation, an engaging environment for learning, discussion, and social action. It is composed from a variety of herbs which can be freely picked as needed by members of the local community. The garden was cultivated as a result of a series of collective work parties. 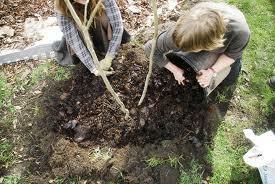 Besides people, organic matter, seeds, weather and compost also collaborate in the production of the garden. It is not the result of one singular artistic vision, but many interactions happening simultaneously. The People’s Apothecary is open to rearrangement , and transformation, based on the changing conditions of people, plants, soil, and community. We try to figure out how we’re going to interact with the land and other people who use it, and that puts us in a complex relationship with all kids of different authorities, needs and patterns. Inspired by Oliver Kellhammer’s biological interventions, which act as both public art forms and acts of environmental activism, The People’s Apothecary is a sculpting of social space. Using organic gardening methods, the herb garden is a collective endeavour. Each participant contributes time, seeds, plants, mulching materials, and care. It is cultivated collectively and can be harvested by the community at any time. The garden is an example of community engaged artistic practice, that is regenerative and beyond the parameters of the gallery as an often clinical space. Many minds from many perspectives have collaborated to realize and communicate the different ideas and concepts of what the garden will be and what it is. The creation of this herbal commons blurs the lines between artist, herbalist, expert, amateur, healer, curator, viewer, student, and community organizer. 1. To decentralise medicine, by making medicinal plants accessible to everyone. 2. To create spaces for the interconnection of wildlife, herbs, and humans. 3. To create empowering places where people can come together. 4. To make collective art (through gardening) as a way of encouraging critical thinking, collective action, participatory spaces, and as a means of escaping traditional divisions between artist/viewer. 5. To create spaces for conversation. 6. To empower participants to gain a deeper understanding and connection to their land and their health. 7. To create spaces that bring communities together in ways which weave together people, skills and land. My role is often of a travelling catalyst: a new element in an environment, spring boarding a local community to see their own landscape from a fresh perspective and with renewed appreciation and wonder. 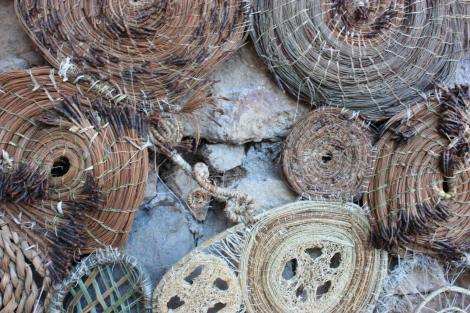 Basic weaving, lashing and hand skills are introduced and individuals work side by side while a sculptural direction unfolds. Drawing upon a women’s cultural work history and social structure; as with quilting bees, everyone’s piece becomes part of the whole. The gradual decay and natural process of succession is embraced as the eco-system becomes the final collaborator. Work decays while birds perch, insects feast, and fresh growth sprouts on the sculptural work in-situ, participating in the eco-system – not independent of its surroundings (Sharon Kallis, Statement of Practice). Sharon Kallis is currently an artist in residence with the Vancouver Parks Board, where she has a studio ‘field house’ within a city park. The inspired practice of situating artists within parks across Vancouver is the vision of Jill Weaving, Arts and Culture Coordinator at the Vancouver Parks Board. The interplay of people and parks is a natural setting for socially engaged community art practices. 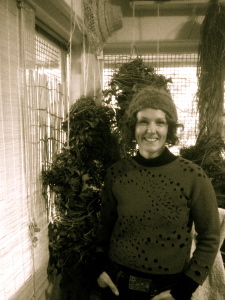 Sharon is also an artist at the Means of Production Garden in Vancouver which grows living art materials for community harvest. 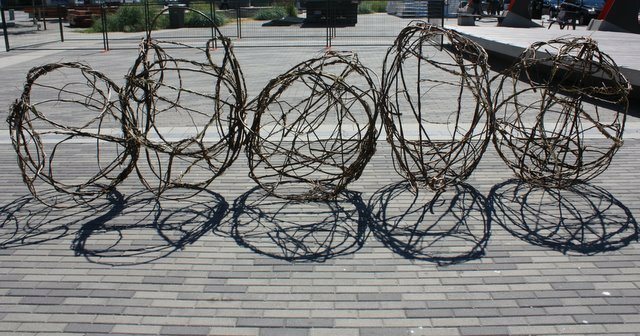 The Means of Production Garden is a platform for interdisciplinary interventions with natural art materials and ecological surroundings. Our goal is to continue to create community-focussed, cutting-edge performative eco-actions that blur lines between art, daily-living, social actions and environmental awareness using the site resources as a ‘living palette’ through which people develop a closer, more tactile relationship to nature (Sharon Kallis, Means of Production Artists Raw Resource Collective). 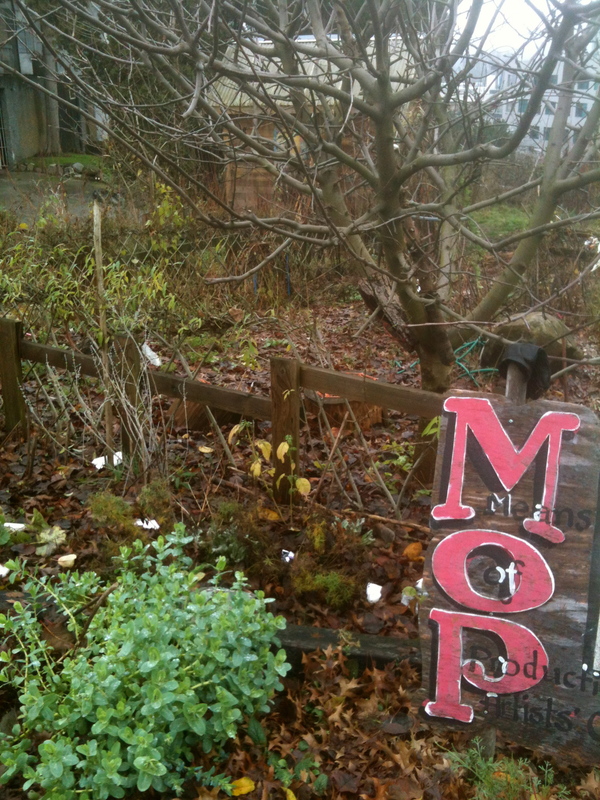 The Means of Production Garden located in Vancouver grows art materials for community art projects. 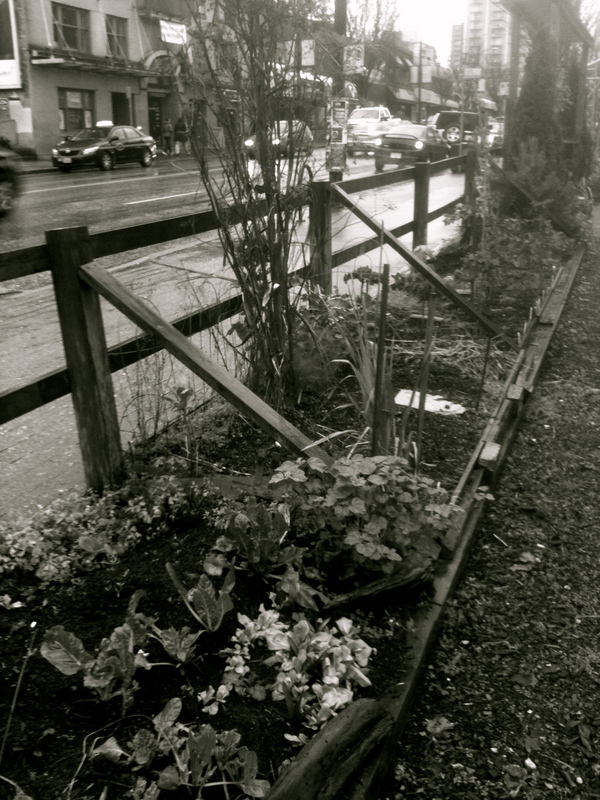 It is cultivated by the Artists Raw Resource Collective in conjunction with the Vancouver Parks Board. 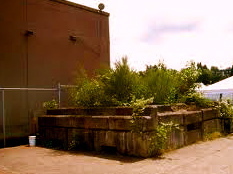 It was founded by artist Oliver Kellhammer in partnership with the Environmental Youth Alliance of Vancouver. Kellhammer is interested in reviving the urban commons, and generating a tolerance for unplanned aesthetics. His ideas about open source landscaping encourages nature to enter the urban world in unpredictable ways. Kellhammer believes that self-seeding trees, flowers, and weeds erupting along the edges of urban areas, may also stimulate experiments in community living. These emergent, rapidly evolving landscapes present us with the Zen question: “What can we not do?” Perhaps we can afford to give up a little control to let this second ‘nature’ take its course. We’ll need to learn to tolerate a few weeds, a little uncertainty and a little mess, but we might just learn something (Oliver Kellhammer). The Means of Production Garden is a lab, studio, peformance space, artist residency, place for site-specific art and a social setting. 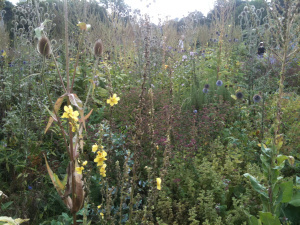 Kellhammer’s original conception was to create an open source landscape where people could experiment growing their own botanical materials for art and and craft use, and for the garden to be a community hub where an ongoing investigation into art and ecology would take place (Means of Production website). 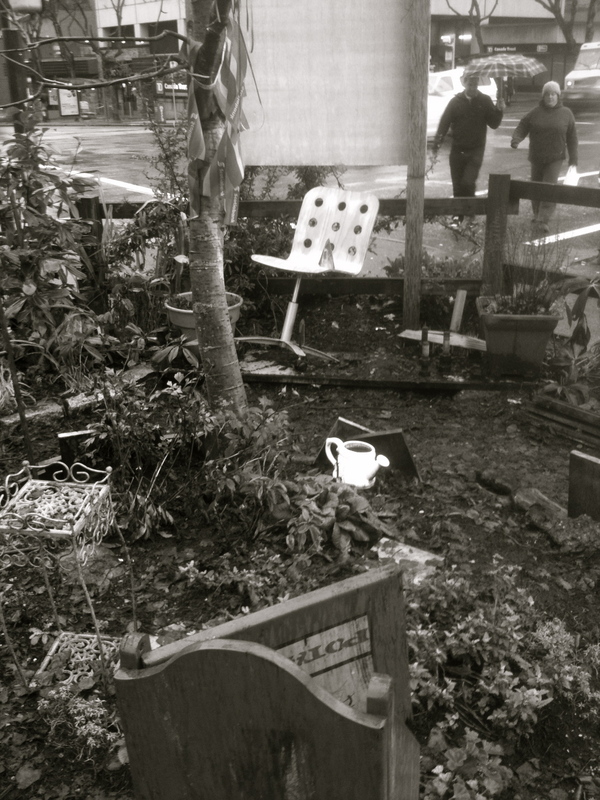 The Means of Production garden is a living art installation. It is a gathering place for community, and an ecological art form. According to Kellhammer it is a biological intervention. Inspired by Nicolas Bourriaud’s Relational Aesthetics which encourages the practice of art within social environments, Kellhammer’s living art acts as an event, and ecological improvisation. 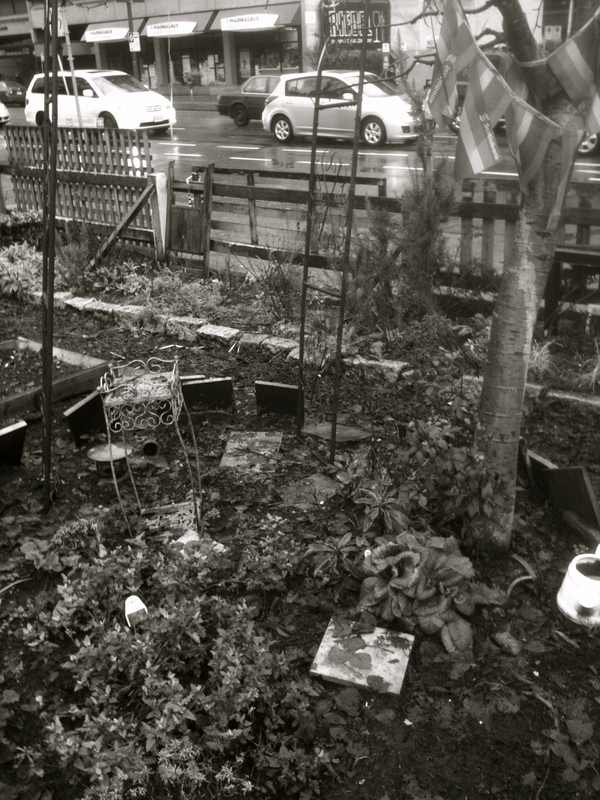 Curating gardens as art projects, can develop gathering spaces for spontaneous interactions. Gardens themselves are unpredictable happenings, where irregular growth cycles, weeds, decay, and weather all influence ever changing conditions. Botanical rampancy is a feature of Kellhammer’s work, he allows nature to take its course, and hopes that human nature will join along. For most people, art has nothing to do with ecology, or our relationship with environment, and the idea that the arts might be important to the nature-culture relationship in any real or significant way seems especially difficult to defend. Contemporary art is often seen to comment on, observe, expose and reconfigure aspects of human culture, but for the vast majority of people, ecology seems to have little to do with culture and less to do with art. Yet ecology, or environment, is where we live, where all life lives – it is where cultures lives, where the arts and human endeavor lives, since culture also cannot be outside the world. Gyorgy Kepes, past professor at MIT, observed that creative imaginations and sensibilities of artists “are neither self-generated nor self-contained: they belong to the larger environmental field of nature and society” (Beth Carruthers, Art, Place and the Meaning of Home). Vancouer based cultural theorist Beth Carruthers is interested in the idea of an ecosystem community whereby our relationships to community also incorporate environmental relations. This could be seen as involving ourselves more with the natural world, but equally it could also mean exploring the nature of urban environments. The nature of cities is evident not only in parks, but also within neglected or abandoned areas. Or specific local plant environments where indigenous and invasive species thrive side by side, forming a local identity completely at odds with the creeping homogeneity of (urban) streets (Paul Farley and Michael Symmons Roberts, Edgelands). 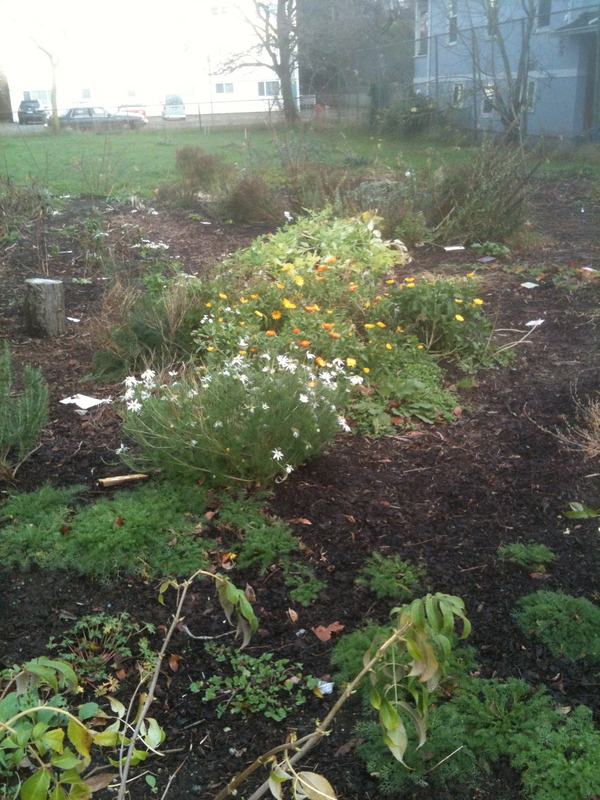 These untended, transitional, overlooked areas are often dumping grounds for waste, and places for weeds. They are seen as spaces in need of re-development, existing on the edges of more civilized examples of urban living. 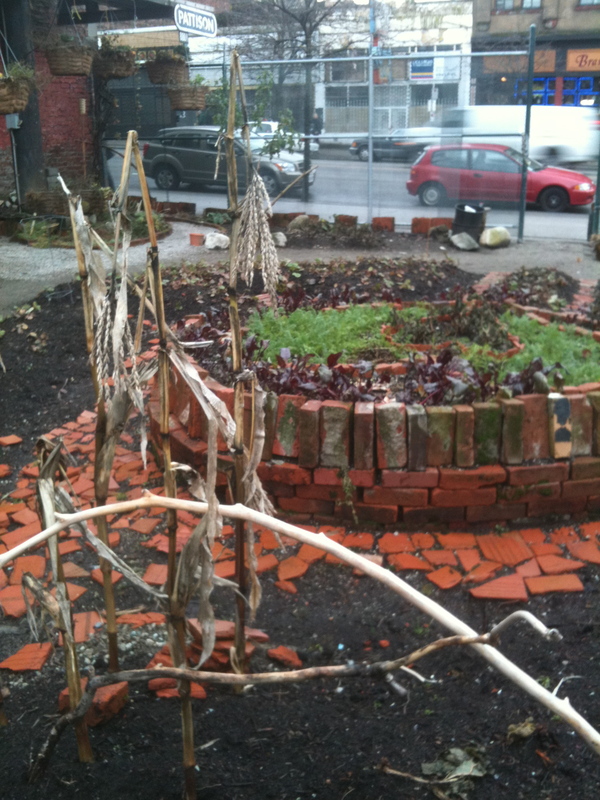 Often emptied of their original purpose, these vacant spaces sometimes catch the eye of guerrilla gardeners or artists who use their state of in-betweeness as a call to creativity. The urban wasteland is mysterious, it is a site for the imagination. These lost areas seek out their redemption in the imagination of locals, who look at their otherness as anecdotes to overly contained living. According to British poets Paul Farley and Michael Symmons Roberts, edgelands are wilderness areas. They are wild, dangerous and often forbidden zones. Left alone even urban spaces go back to nature. Decay enters upon the life of buildings and streets. It is the commonality of all forms of existence – whether it be human life or the built environment. Communities can also collectively abandon themselves and fall into the category of edgelands. They can become lost to themselves. 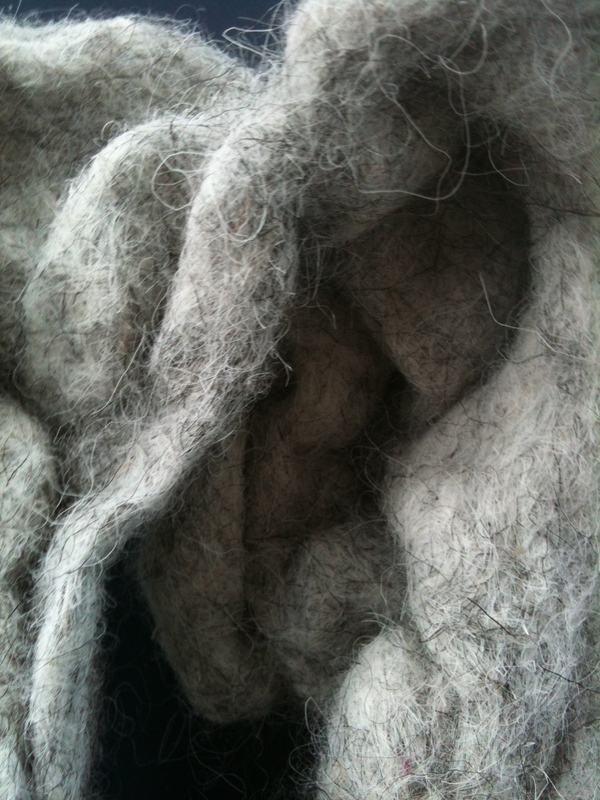 Beth Carruthers believes that art should embody relationship. Ecology is always in a process of change, a dynamic, relational non-static system. She feels that art can only take place within an ecosystem community. Art addressing the ecology of a community, implicates change and a system of influences. In this regard the term biodiversity is an appropriate term, addressing the diversity of all species of relationship. The variability of living organisms in our living environments all contribute a life force that enlarges our sense of place. Paul Farley and Michael Symmons Roberts, Edgelands: Journeys into England’s True Wilderness. According to Gilles Deleuze and Felix Guattari art produces intensities, sensations and affects. Art generates routes of desires, and forces of becoming. Art takes us somewhere, and this somewhere operates like a network of potential. The idea of movement and travel feature in this understanding of art. Art makes territories that allow us to encounter more of ourselves and the world at large. A territory has a particular resonance, location and spatial dimension. Each artwork adds on to subjectivity, so that we are a network of ands. The specific qualities of an artwork lead us on, we become more than we thought, each is an act of becoming. Each form of life, and each cultural form, undertakes its own mode of organisation, its own connections of body and earth (Elizabeth Grosz, Chaos, Territory, Art: Deleuze and the Framing of the Earth). Everyone lives out a community of influences, their many territories of life, which compose intricate folds of representation. Each individual is a collectivity, an arrangement of relationships, a force within changing circumstances. Deleuze and Guattari use the term rhizome to imagine the simultaneous growth happenings within our multiple territories of influence. 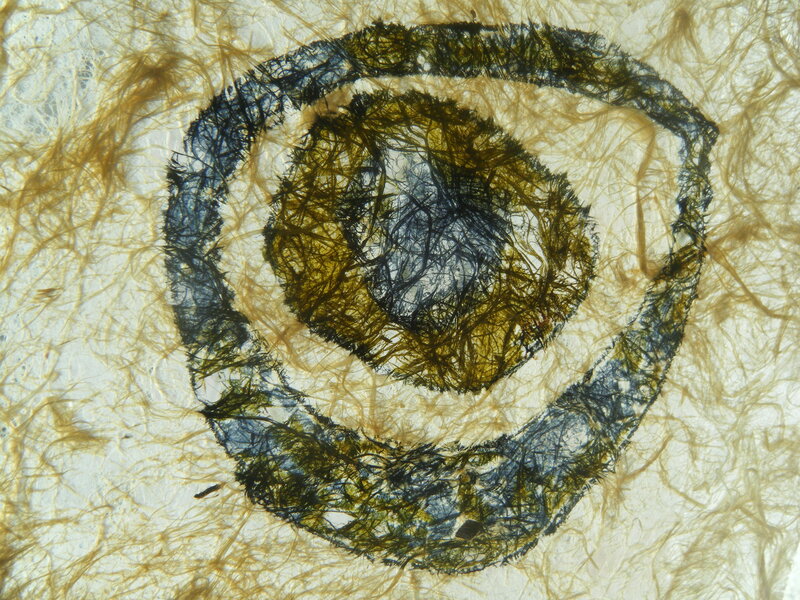 A rhizome is an underground stem which travels across many different areas of growth. The rhizome is an ecological term, it describes areas of habitat which accommodates a cartography of growth. 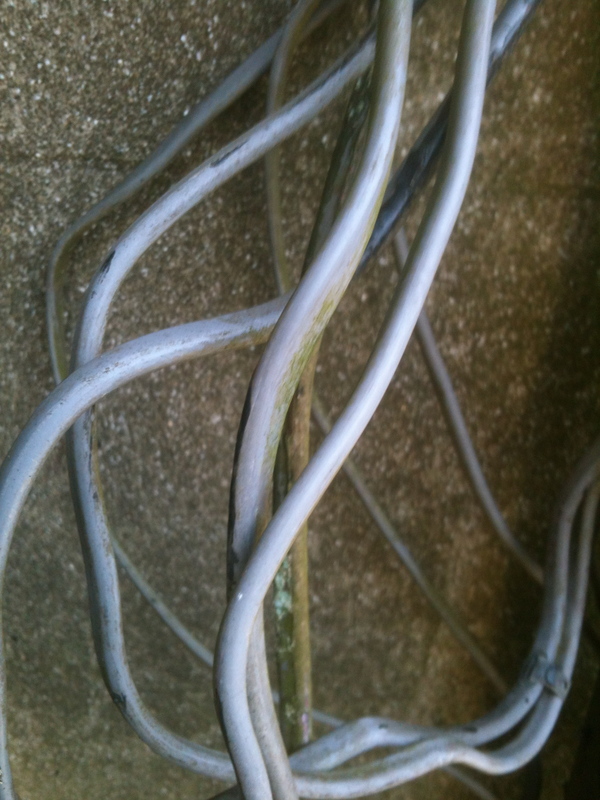 A rhizome grows in many different kinds of spaces, and if severed will bring forth new shoots of growth. It is an expansive force, continually in a state of becoming. Becomings belong to geography, they are orientations, directions, entries and exists (Gilles Deleuze and Claire Parnet, Dialogues). Within a larger community of individuals, Delleuze and Guattari believe our movements in between each other are significant. It is not about looking at where we are going, but how we act within our relationships along our routes of travel that characterize our sense of becoming. The ability to spread ourselves across common territories of activity, and to derive from this experience a greater expansiveness, is to be open to opportunities at thresholds. Art therapy does not arrive at a destination, it crosses paths with different kinds of encounters that influence the making of additional territories of life. Gilles Deleuze (1925-1995) was a philosopher interested in literature, art, and film who taught at the University of Paris. His philosophy emphasized becoming, changing conditions, and the complexity of subjectivity as a process. His thinking is enlivening, an ecological philosophy where each of us is a distinct force within a larger dynamic whole. Deleuze is interested in how experience can be transformative through the distinguishing of difference. By being open to different encounters and experiences, we broaden our horizons of responsiveness. Rather than being limited by habitual ways of perception, and routines of behavior, our subjectivity incorporates new experiences and awakens to an enlarged world view. Felix Guattari (1930-1992) was a psychiatrist, philosopher and political activist. He worked at the innovative La Borde clinic in France. La Borde was unique in its approach to democratizing patient/staff communication. It acted as a therapeutic, artistic and philosophical community, where collaborations between staff and patients were encouraged in order to transcend traditional professional boundaries within psychiatric healthcare. It was founded as a place to find shelter and peace. Guattari was an advocate of community based politics linked to specific social issues. He challenged pre-conceived truths about the structures of society, and encouraged the deterritorialization of identity, meaning and behavior. By this he meant that people should individually and collectively embrace their own sense of agency, and express diverse perspectives, so that society can be composed as a complexity. Deleuze and Guattari collaborated on a number of publications exploring politics, psychology, and culture entitled Anti-Oedipus, A Thousand Plateaus, and What is Philosophy? 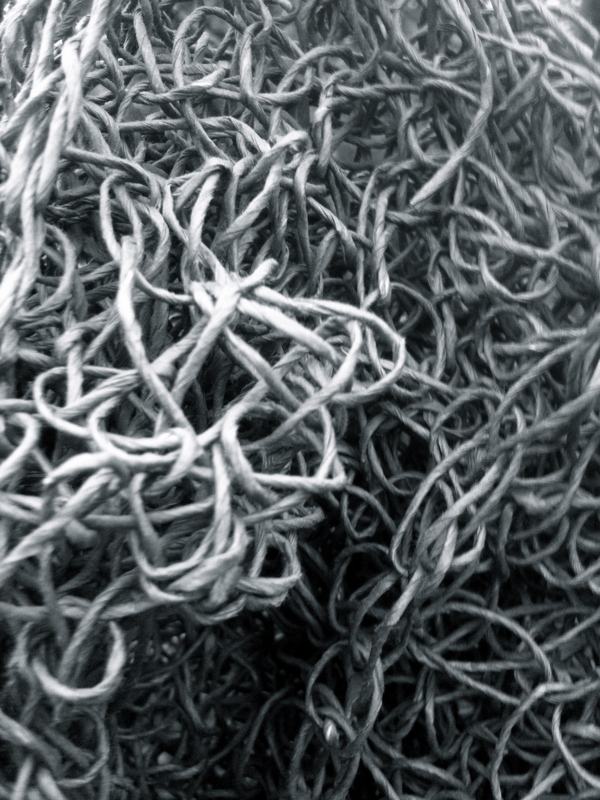 Deleuze and Guattari propel subjectivity into the world, as a growing entity, with influences that produce a rhizome (a network) of opportunities, resources and flexibility. Deleuze and Guattari encourage each person to spread themselves around, and to be active in their own becoming (the continual production of new areas of growth). Rather than determine a self, each person is a landscape of territories, within which they circulate. Deleuze and Guattari are provocative crusaders for the liberation of desire, as an energy or force of personal and social change. The idea of space in art therapy is often associated with containment, enclosure and confidentiality. And yet the therapeutic relationship, the environment within which art therapy takes place, and the activities of making art are potentials and opportunities for enlarging spacial arrangements. Opening art therapy into public spaces, is a distribution of the personal into collective spaces. Rather than delving into a singular narrative, identity is dispersed amongst the identities of other people. Public spaces can be considered studios, which decentralise our narrative. Subjectivity is not a fixed definition, but becomes dispersed across public areas, which translates the idea of a particular self into new configurations. Communities of people and places offer opportunities for becoming. Art therapy is a becoming, it offers new considerations of creativity amongst a variety of public territories. Art therapy can carry subjectivity across the boundaries of enclosure into uncontained public spaces. The dimensions of art therapy occupy simultaneous spaces that are relational – a relationship with physical space, inter-personal space, spaces made with art materials, and spaces of desire, where we exert our longing to make more of ourselves within both an imagescpae of artworks and within more territories of lived experience. The impulse to make meaning, and to communicate this to the world at large, can be tracked through artworks which hold a certain kind of intelligence and craving for something more. Art therapy goes beyond personal history, it is a yearning to expand – to be more, to act out more, to have more influence, and to accumulate more territories of activity. The setting of art therapy can offer specific influences, as can the availability of materials. 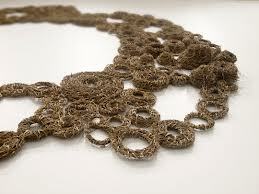 Materials can be foraged from daily life, and can interact with environmental situations. Could art therapy be a walk through everyday landscapes? Could materials be gathered along this walk? 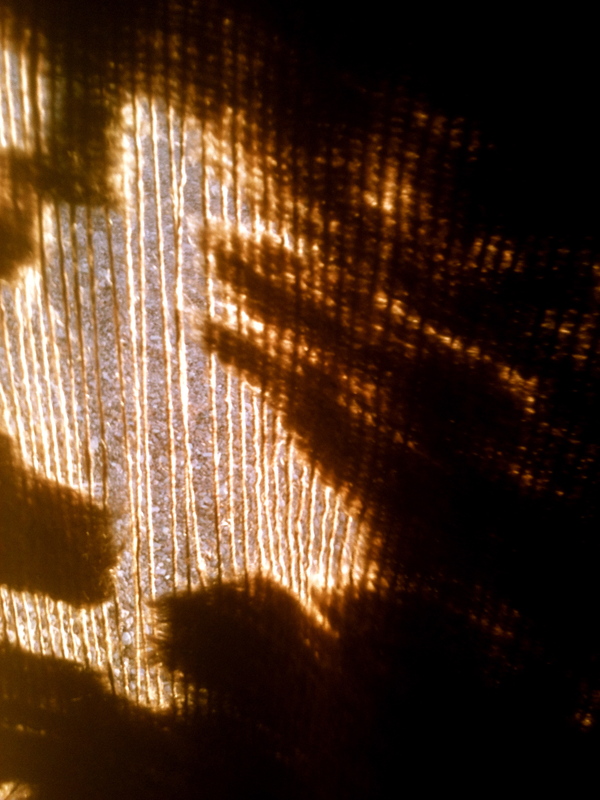 Could photography and writing also happen as we move through our daily routines? Could the art therapy studio be situated both within enclosed settings, and the outdoor environments of our daily life (built landscapes, interactions with people, places and situations)? Setting has an influence on our movements in both mind and body, and can evoke words and images. The art therapy scene assembles different kinds of spatial ingredients to construct new areas of activity.